Billy The Kid was killed in Fort Sumner on July 14, 1881. 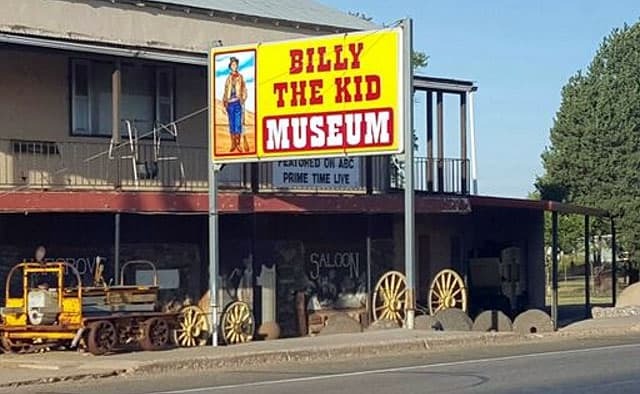 Billy The Kid museum is known the world over and now houses around 60,000 relics. Get a better understanding of the trials and tribulations that people of the 1800’s and early 1900’s endured in their struggle to stay alive and provide for their families. Cases of memorabilia in the Billy The Kid Room feature the Kid’s rifle, a lock of hair, and a rock from his Stinking Springs hideout. 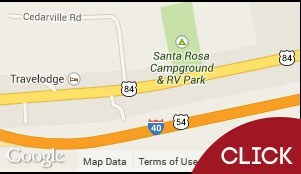 The Billy the Kid Museum is located about 40 miles south of Santa Rosa down Route 84 and is two miles east of downtown Fort Sumner.